Every once in a while my son wakes up screaming in the middle of the night. Being a veteran of the baby wars, I can tell when it’s a hunger cry or something like that; it’s clear in these instances that something else is going on, especially when I find him sitting up in his crib, clutching a rosary. Since there’s no one else in his room and there are no such things as ghosts, it seems he’s been having bad dreams. 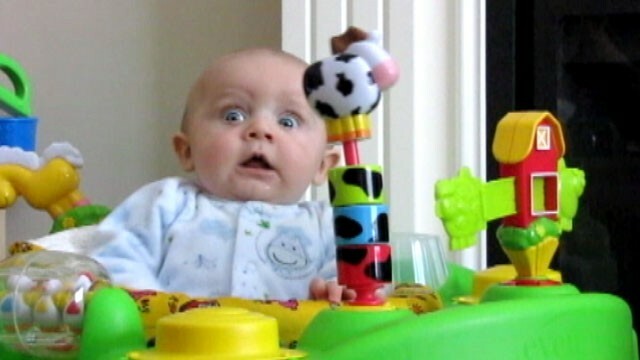 I can accept the fact that a little guy like him can have nightmares, but what are they about? He’s not even two! No, he’s not technically a baby anymore (he’s 17 months now, and stop making me say that) and it’s obvious that he has a mind of his own. Just the other day I tweeted about a significant milestone in his development when I compared his ability to recognize the route to daycare to the way a dog knows when it’s headed to the vet. 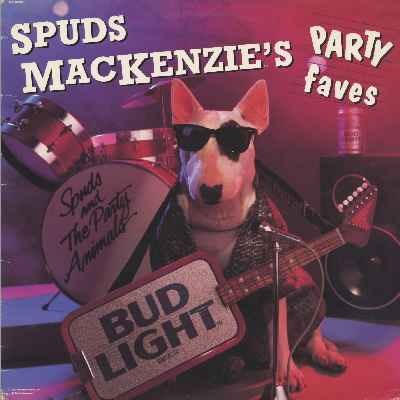 So my son is now officially as smart as Spuds MacKenzie. But nowhere NEAR as cool. Intelligent as he is, we are not yet able to have a conversation. He can’t quite converse, at least not in a language anyone over two understands, which makes it impossible for him to describe his dreams to me. Which is both bad and good. Bad because I don’t know what’s scaring him, but good because who really wants to hear about anyone else’s dreams? Let alone a gibberish-spewing toddler’s? NOT ME. Thankfully, as an attentive parent who has observed my son for his entire life, I don’t need him to tell me what’s scaring him. I am already well aware of his fears – it’s my job to protect him from them, so I’d better be! Obviously, I know him quite well. And based on this knowledge, I can only assume that his nightmares take place in dark rooms that are full of loud noises being made by things he can’t see. Which actually sounds legitimately terrifying and I apologize for mocking him. Wow. It’s crazy to think of all the stuff we take for granted that they’ve never even CONSIDERED. I mentioned this idea in a previous post, but I might start constructing my own personal Truman Show for my son, just to ensure he grows up knowing the things I want him to know. Even if they’re lies!